I used to believe that women didn't grow armpit hair. Just because I'd never seen it anywhere. Imagine 9yo me's reaction when I started growing armpit hair. I thought if I turned on my gameboy while the airplane was taking off, it would absolutely crash. I took that "please turn off all electronic devices" thing a little too seriously. I thought I held the lives of everyone on that plane in my gameboy. Also, more of a prank, but you know the StarFox level in Smash Bros with the ship that flies down and shoots at you? My friend told me if I jumped on it and stayed on it, it would take me to a bonus level. Needless to say, she won that round. The first time I navigated Etsy I thought the same person made all the crafts and I thought he/she must be the greatest and most versatile artists in the world to be able to create so many different things. It pushed me to try different styles. In my defense 10 years ago the page looked more like a blog than a store. I watched that Simpsons episode where they went to Japan and still dont mess with electronics on planes. I thought you could only microwave food ONCE. So you had to get it perfect every time. I used to think we lived in a meritocracy...but maybe that's not really goofy. Hold it...you can microwave more than once? What? You lie! Sad to say it, but Grandma was playing you. Never mind that my skin tone was the exact same tone as my dads because dark Asians fking exist. Also, for a more amusing one. 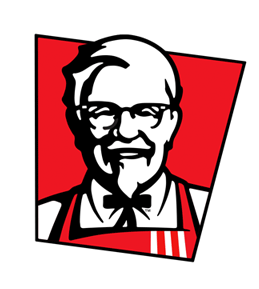 I was 27 years old when I realized that the KFC logo was not a sick figure with a big head. 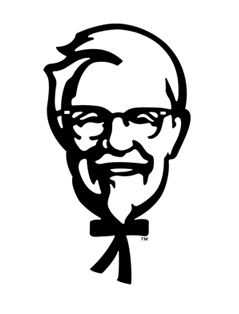 We were just driving in the car one day and I did a double take at the logo, they stopped using the old logo for YEARS but it just never clicked until that moment that it was a tie and not his arms and legs. I'm not even joking, I didn't even think it was weird or anything just "ok, it's a guy with a stick figure body" I just never questioned it at all. That second one with KFC had me laughing pretty dang good! When I first heard the stork story, I already knew that babies come from people. So when my little brother was born I though after my mom gave birth, she would leave him at the hospital, and the stork bird would drop him off at the house. Also, when people say to chew gum to prevent your ears from popping on a plane, I thought it meant that your entire ear would pop off your head and land on the floor. My sister told me that if anyone ever pressed the #9 button on a home security system, the house would explode and they'd go to jail. As a kid I used to think that if you had a nightmare that was bad enough, it could kill you. Like there was some kind of scary magical force that stopped your heart from beating and you wouldn’t wake up. I always prayed to have good dreams. 1. You were covered up and they couldn't see any limbs peeking out. So when bedtime rolled around, I would keep my toes covered, keep my back to the wall, and have several rag dolls around me. So when the "monsters" did roll around, they saw the dolls staring at them, and it was a sign going "oh, I can't eat this kid -- they're not alone." Kinda goofy then, but even now, old habits die hard. If I've seen a horror movie or read something and it's scared me wicked bad, I immediately switch to "don't be exposed" and cover myself at night. ...I see you judging me. Shtahp it.